PHILADELPHIA, PENN. 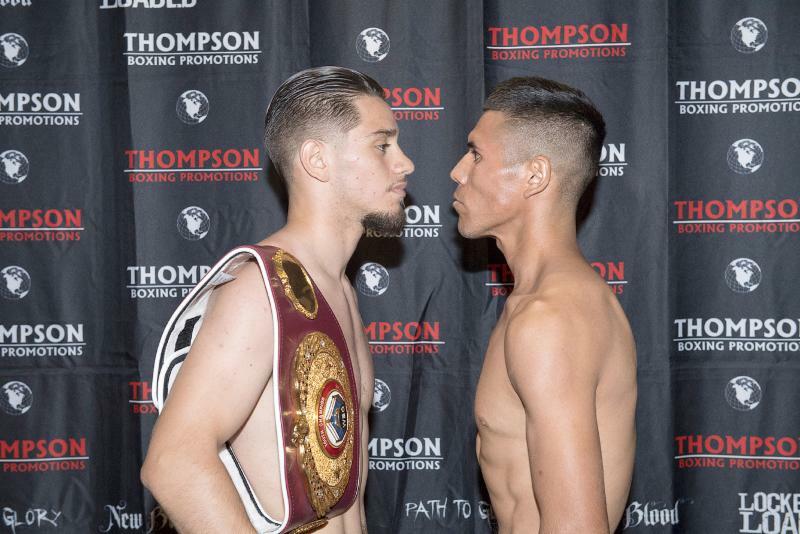 / ORANGE, Calif. (Aug. 24, 2018) – Undefeated featherweight sensation Ruben Villa (12-0, 5 KOs) checked in at a ready 125.8 lbs while his opponent Jose Santos Gonzalez (23-6, 13 KOs) weighed in at 125.9 lbs for their eight-round battle that will take place tonight at Omega Products International in Corona, California. All fights will be live streamed on TB Presents: Locked n’ Loaded via Thompson Boxing Facebook page and ThompsonBoxing.com.